Guys, how did I not know this was a thing? Oh wait, it’s because most of my appetizers revolve around a significant amount of cream cheese. 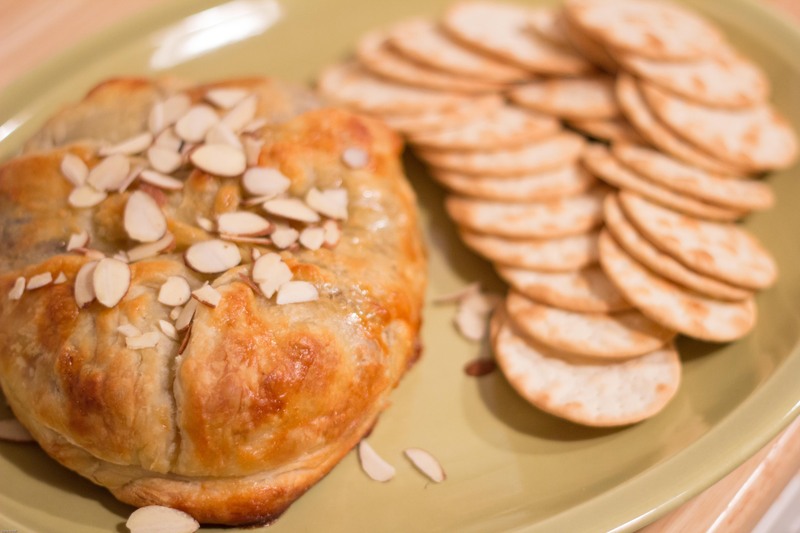 So for a recent dinner party I thought I’d branch out and googled “baked brie” for the hell of it. Landed on the recipe below and I’ve got to say, it was super easy and everyone gobbled it up (and it looks fancy, so eat with pinky up)! 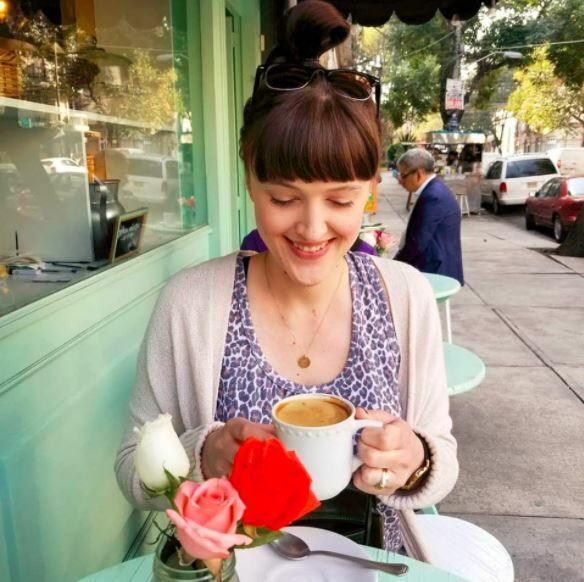 *photo taken by the fantastic Dana Juhasz Ardell. Preheat oven to 425 and grease a baking sheet. Roll out pastry with rolling pin on a floured surface, then place brie with rind left on in the center of the rolled out pastry. Spread the preserves on the top of the brie then pull the pastry towards the top and middle of the brie forming a little delicious pouch of gooey goodness. Make sure it’s sealed completely so the cheese doesn’t melt out during cooking. Brush the pastry with egg wash – using it to seal any open areas. Bake for 20-25 minutes until golden brown, top with almonds and serve with simple crackers. 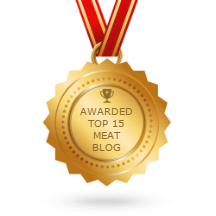 Here is the original recipe from another blogy blog. If you are lucky enough to live close enough to Michigan, try these preserves. Delicious! 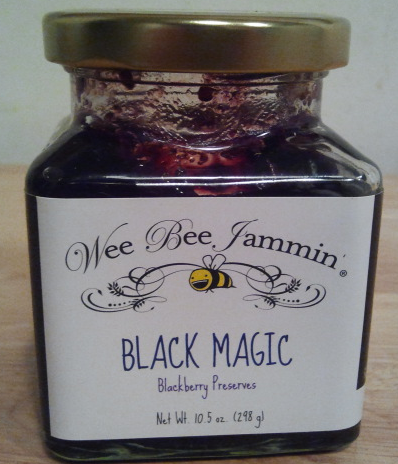 This black magic jam was found at a “Shaker” fype gift store in Holland, MI. Sorry can’t think of the name of the store. Glad you like it cause I bought it for the cute name, like I buy all my paint colors! Your Mombie.